Enter HH No. / EX No. or Order No. 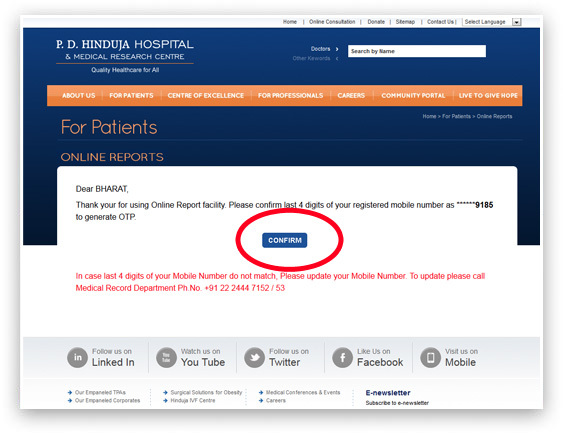 Validate last 4 digits of your Mobile Number by clicking "CONFIRM". 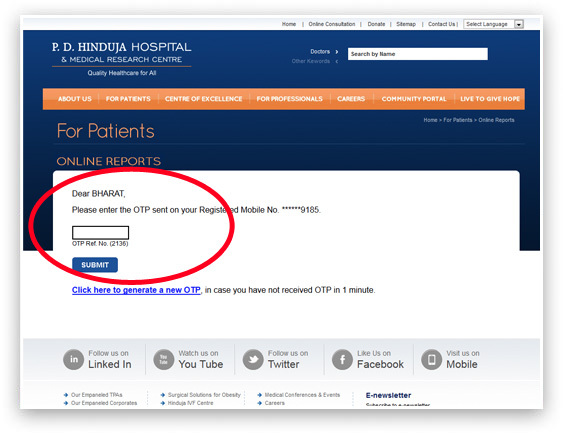 Enter OTP and Click "SUBMIT". You can re-generate OTP, in case you have not received in a minute. 1. As the report is confidential it cannot be emailed and therefore you are requested to kindly pick It up from the hospital counter. Molecular biochemistry reports, Toxi screen reports and Amino Acid reports will be available at the Stat Lab counter. 2. Please note that confidential and sensitive LAB REPORTS will not be available for viewing. 1. Site best viewed in IE8+, Firefox 3.5+, Chrome 3+, Safari 5.0+ at 1024 x 768 pixels resolution. 2. 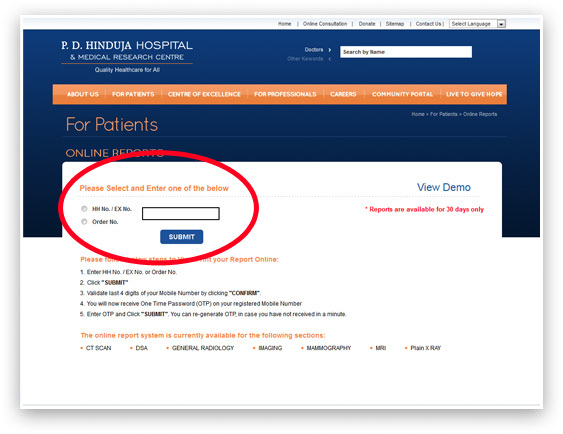 You must have a current PDF reader to view Reports. If you do not see the Reports, please click here to download PDF reader software. 3. 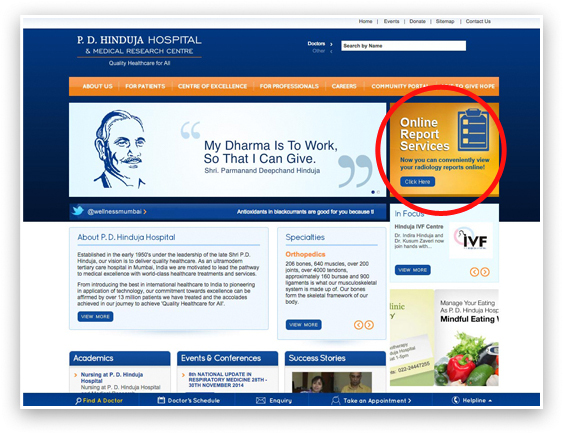 Please check you junk folder or spam folder in case you do not receive an email in your mail box within 10 mins. Enter the HH No. / EX No. or Order No. 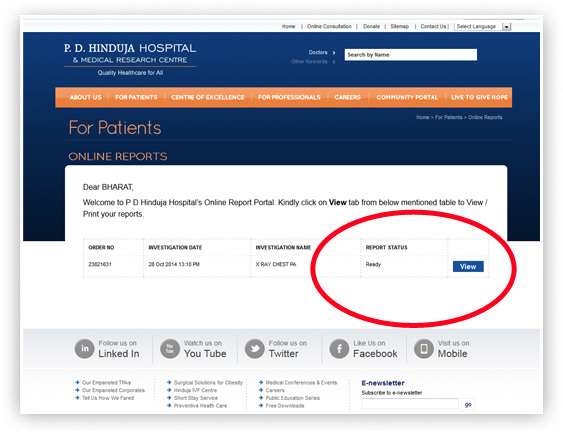 List of reports available to view are displayed.